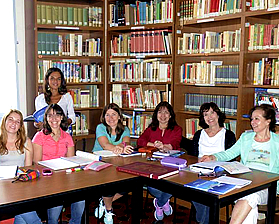 Our courses of Italian language and culture are based on a main rule: to put the student in the centre of activities, taking care of his linguistic and social needs, through an language based on an assimilation process intuitive and natural, that comes from real situations of coexistence in a foreign language and culture in which the student participates as an active subject. To achieve this aim our teachers, providing the essential notions of Italian grammar and syntax, necessary for the most urgent needs of the language and the communication of the students (functional language), they will help them with a variety of cultural and recreational activities, even with the aid of media such as video, music, newspapers, magazines, books, movies, made just for them, which involve them from the social point of view, and keep their motivation and their attention always alive. *The Common European Framework of Reference for language is a guideline developed by European Union Council, used to describe achievements of learners of foreign languages across Europe and, increasingly, in other countries. 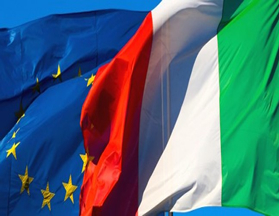 Culture and Italian tradition: history seminars, literature, art and Italian design, folklore and popular traditions, theater workshops, gastronomy and enology courses, music , Italian cinema. EACH COURSE INCLUDES: GUIDED TOURS, ACCOMMODATION AND RECREATIONAL ACTIVITIES. every course will be activated only if there is a minimum number of students.